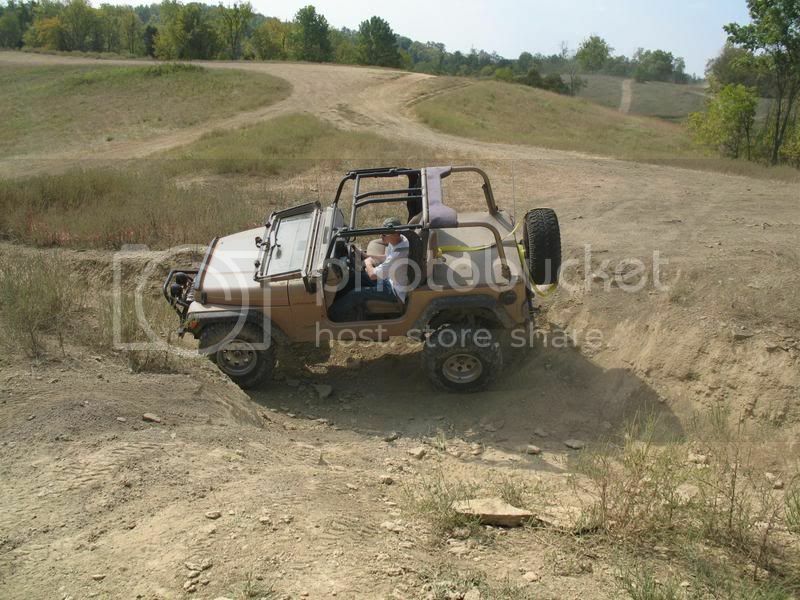 Ever been mudding or rock crawling with the windshield down? or just general driving? My concern is the jarring would crack the glass, any inputs?? Always thought it would be cool to do, but figured it would look odd on my jeep with the sportcage installed. x2. A friend of mine wheels with the windshield down in his 83 CJ7. He always told me just to make sure you secure it using the footman loop properly and tight. Nothing better! I know have a full 6 point cage, and still drive with the windshield down. 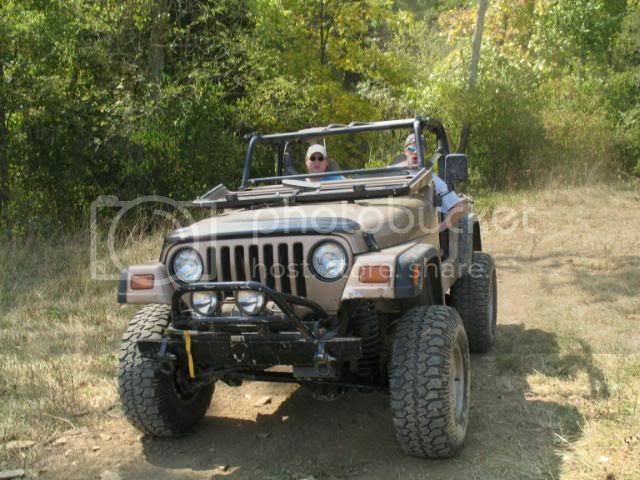 On the road or wheelin' it's just a great feeling! 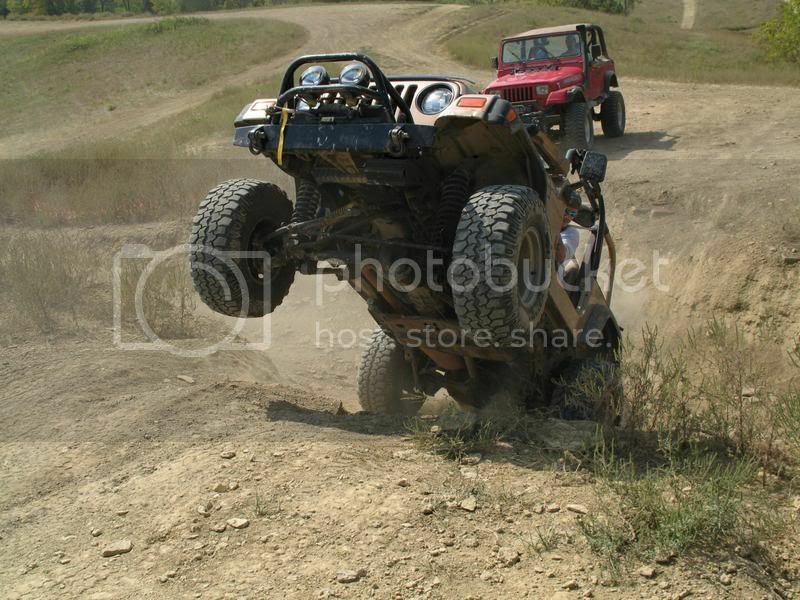 I know that jeeps CAN do it, but wasnt sure IF IT SHOULD BE done. I might have to try it on a nice week end around town before it gets too cold. I used to see a guy who ran the black and red trails at Crozet who didnt just fold his windshield down, he took it completely off. 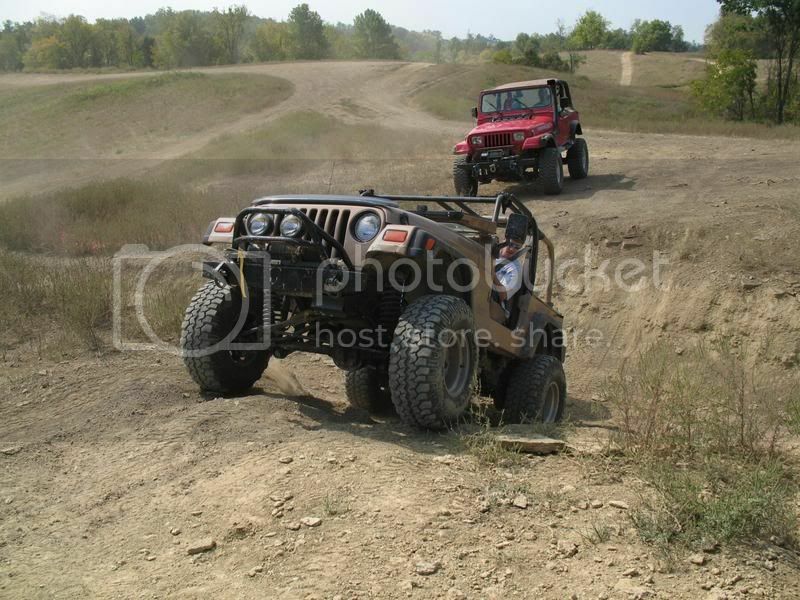 When I asked him why he did this, he replied that he couldnt afford a trailer so he had to drive his jeep everywhere. Since he was running black and red trails he rolled he had a very good chance of flopping, rolling or rubbing a tree or rock which would bust his windshield regardless of it it was up or down. This would get him several tickets and way more attention from Johnny Law than he wanted. He didnt care about the body or doors, long as the windshield was fine. 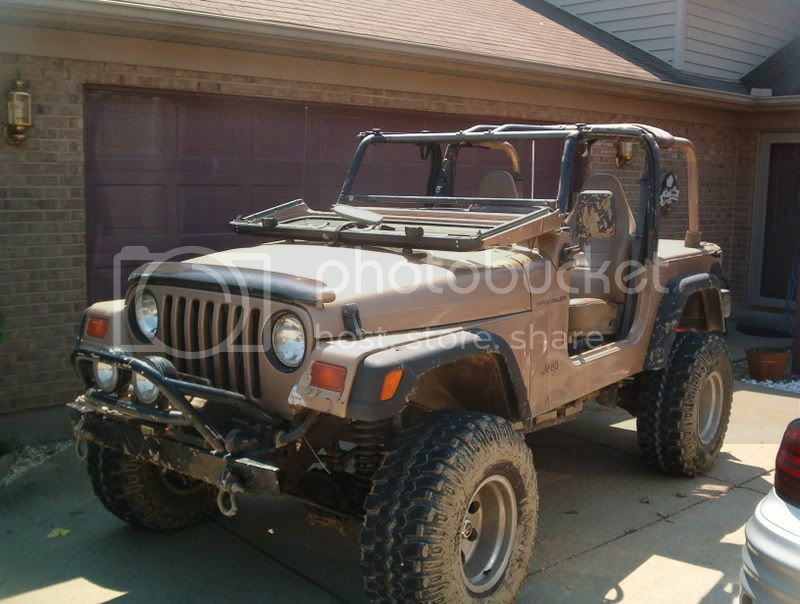 If you saw the Jeep you would have seen the body was one color and the windshield frame was a different color. Guess he learned from experience. If I know I am going to be driving and not trailering my Jeep, I might think about not just folding it down but removing it for the same reason. On the road....I just cant think a bug in the face at 65 mile an hour is going to feel good. No worse than going 65mph on a bike. That bug is going to sting just the same. If I was running the high blacks and reds at Crozet and not trailering I would probably remove it as well. Saw a lot of flops there. On the road....I just cant think a bug in the face at 65 mile an hour is going to feel good. you can go 65 in your jeep? Lucky. Yep a good friend of mine BESERK taught me to take the thing off or I may end u paying for it to be replaced. we tapped out the retaining bolts, used grade 8 to replace and used pins to hold them in place.